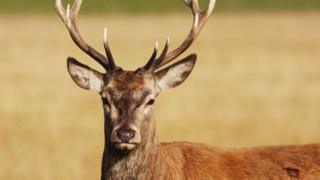 A man has been killed by a deer on a rural property in southern Australia, authorities say. The animal attacked the man and a woman early on Wednesday near Wangaratta, a town about 250km (155 miles) north-east of Melbourne, according to police. The woman suffered life-threatening injuries and was flown to a hospital for treatment. Police said they had euthanised the deer at the scene. The incident would be investigated, they added. The feral deer population in the state of Victoria has grown to more than one million in recent years, according to official estimates. Parks Victoria classifies the non-native species as a threat to vegetation in national parks, prompting calls for culls.